Social influence measurement service Klout quietly released a new app product this week, called Cinch. The iOS app (update: only available in the US App Store) is very much a mixture of Quora and Klout blended together in that you ask a question and receive answers privately from influencers that are deemed “experts” by the service. If the name of the app sounds familiar, then you’re probably thinking about Cinchcast, the cloud-based conferencing and webcasting solution — this is very much a different service. One would assume that the background behind its calling is because when you want information, you want it with as little hassle as possible — it’s a cinch. We had a chance to speak with Sanjay Desai, the company’s Senior Vice President of Product Management, who told us that Cinch was part of its product pipeline and the result of its testing of Klout Experts, which launched in May to a small subset of its user base. As it turns out, the company saw a strong response of engagement in the home and lifestyle category and realized that it needed to create a stand-alone purposeful app. The result is Cinch. We downloaded it onto our iOS device and the on-boarding process was pretty smooth. The app uses Facebook Login to authenticate, most likely to tap into your friends and leverage their expertise to provide you trustworthy answers. Cinch is open to anyone — you don’t have to be a Klout user. Once you’re in, simply type in a question you want answered and include a description or as much detail as you want. And although the app uses Facebook’s authentication system, Desai tells us that it will not post anything to the social network. 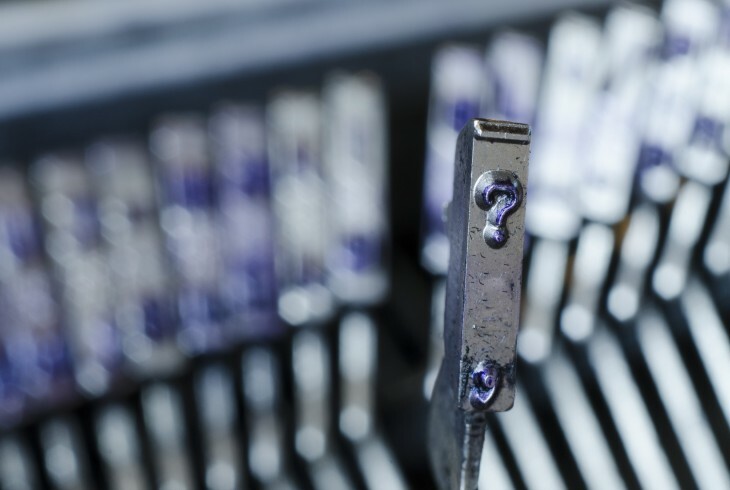 After you’ve entered your question, Cinch will send your query to experts in its database. From here, you need to wait for a response and maybe it’s because it just launched and there probably aren’t that many users on it, but we’ve been waiting for 30 minutes for a response to our question. But since we have push notifications enabled, Cinch will most likely ping us when an “influencer” responds. You can also see what other people have asked and the experts who “gave great advice”. However, since Cinch postings are private, you cannot see their response. In fact, what’s interesting is that the app doesn’t let you openly answer other people’s questions like with Quora. Instead, you have to wait for Cinch’s algorithm to determine whether you are an expert in a particular topic and it will notify you that there’s a question you can efficiently answer. If you’re notified by Cinch that you have a question that you can answer, it tells you why you’re specifically targeted to respond. It will tell you things like you’re in the top X percentile of advisors for that particular subject, whether it’s electronics, pets, gardening, etc. Additionally, it will connect the dots (akin to “Six degrees of Kevin Bacon”) and offer further rationale why you should help out the other party. From there, you engage in a chat with the other party, like a regular conversation you have with a friend. In its initial version, Cinch will be focusing on home and lifestyle questions. Eventually it will expand its coverage, but seeing that the app is all about providing personalized advice when you want it, Klout decided to start with a category that most people often have inquiries about. From it’s Klout Experts testing phase, the company also noticed a strong response to people interested in soliciting expert advice in these areas. Does it help your Klout score? One question that remains unanswered is whether answers you provide are going to be weighted against your Klout score? If you answer more, will that affect the algorithm to highlight your influence? The answer to these questions is yes. Klout will view answers provided as another signal that will help tie both Cinch and Klout together. In fact, when Cinch’s algorithm looks for an advisor, it references your topical expertise, which comes from your Klout profile. But it’s doubtful that by answering a single question, you’ll see a tremendous jump in your score — it’s just one of many signals that Klout looks at. 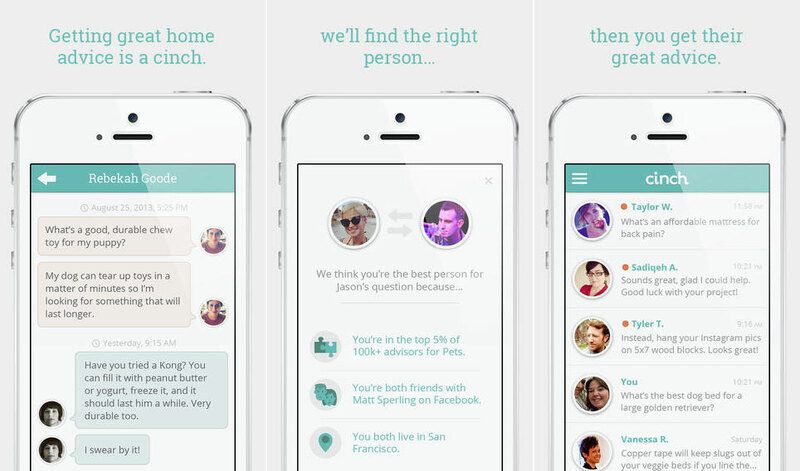 The Cinch release marks the second app that Klout has developed, with its self-titled one being the first. But its focus is entirely different and something that we find to be refreshing. In fact, there’s no real focus on your score, but about your expertise. What makes someone truly influential? It’s the topics that they’re knowledgable about and not a numerical value behind it. I remember walking to the event and being terrified. I’m going to get in front of an audience of New Yorkers and tell them I’ve developed the algorithm that tells them how important all these people are. It’s interesting how it’s not part of its Klout app, but perhaps the style of that app, designed as a way for you to check on your score and profile while on the go, doesn’t match the approach that the company wanted to take with Cinch. Desai responds to this by saying it’s all about having single apps solving specific problems. Customers are interested in apps that can take one problem and solve it the best way possible. Klout has always been about helping you monitor and manage your score. Cinch is all about helping you get personalized answers when you want it. Nevertheless, it’s an intriguing app. Of course, it’s not that hard to think that Cinch is very much similar to Quora or even Clarity’s Answers product. But there are some marked differences and this might make it appealing to users. First of all, it’s private in that all answers are done in a chat-like fashion, which you don’t see on Quora. It’s also focused on home and lifestyle, which runs contrary to Clarity — it’s more business and entrepreneur focused. But perhaps what makes this pretty intriguing is the fact that Cinch leverages the social connections and the topical influence to connect people with one another. Sure, with Quora, you’re going to get answers from other users and perhaps you’ll get it from someone like a US Congressman (if you’re asking about politics), a celebrity, or qualified expert. You could also use credits to get an answer in near real-time. However, in Cinch, you’re always going to get an influential expert without having to hear from someone like me on topics of gardening or automotive repair (two areas I’m not the slightest influential in). Desai also says that with Klout processing more than 12 billion pieces of social data per day, it can utilize the influence graph it has to properly target the right advisor to come and respond to your inquiry. Cinch is currently only available for the iPhone with iOS 6 or later. There are no plans right now to work on other versions.